Synopsis: Award-winning author Suzanne McKenna Link brings you her powerful and moving debut novel set on the South Shore of Long Island. Saving Toby is the first book of a two-part story that follows the emotional and inspirational tale of a young couple's journey to find themselves. Loving someone through their hard fall from grace takes a lot of grit. In school, Toby Faye was a moody kid who sat in the back of class and looked like he wanted to be anywhere but there. Claudia might have forgotten him if it weren't for the two fatal circumstances surrounding his family. In their small town, the Faye name was infamous. An unexpected job offer drops Claudia back into Toby's life, and that of his widowed mother. Older now, Toby is a mass of muscles and unruly hair; a real head-turner. Despite Claudia's attempt to stay away from Toby, his blue-grey eyes expose a need she cannot ignore. Toby's world is a place where sadness lingers and old wounds run deep. Touched by the family's plight, Claudia vows to help Toby and his mother move past the hurt. When a local hate crime is linked to Toby and his friends, doubts are cast. Old friends become enemies. Animosity between Claudia's father and Toby strains the father-daughter relationship. Taking Toby's side means Claudia will be forced to face situations she never imagined. She will have to be tougher than she's ever had to be. Does Claudia have the grit to love Toby through his fall? Review: This book was really easy to get in to and l hard to put down once l picked it up and l was sent this book for review and l found it really enjoyable and l give this book the highest rating l could and l highly recommend this book to anybody and l really glad l read this book and I read this book on iBook’s And l rated this book on goodreads and amazon and l loved reading this book and l could take this book anywhere with me and l could read it again and again and nothing like reading a good book. About the author: Suzanne McKenna Link is the debut author of SAVING TOBY. The literary love story follows the moving journey of a damaged young man and his love for a girl who might just save him. An avid interest in psychology has Suzanne digging deep into the reasons for her characters' behaviours. The native Long Islander is fascinated by the how and why of people's actions. As a result, her characters come to life on the pages. 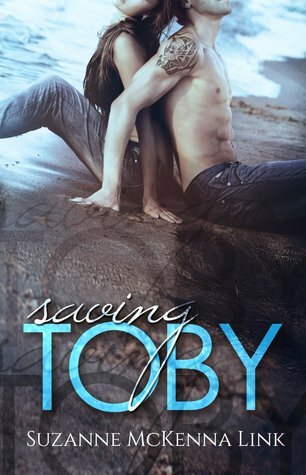 Suzanne is currently working on "Keeping Claudia," the emotional sequel and finale to Saving Toby. To keep up-to-date on Suzanne’s newest writing endeavours.